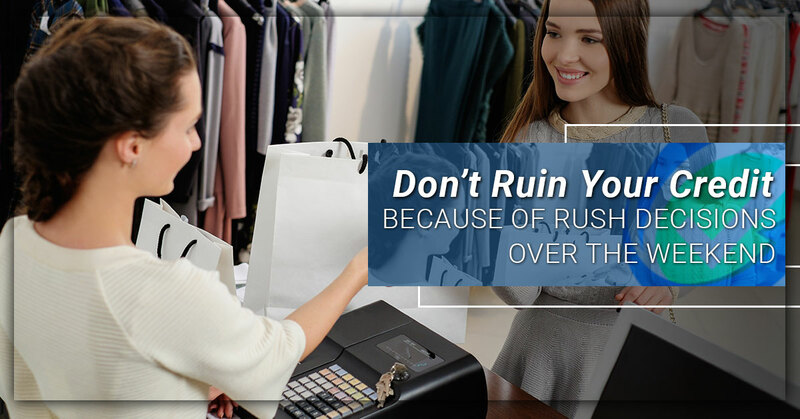 DON’T RUIN YOUR CREDIT BECAUSE OF RUSH DECISIONS OVER THE WEEKEND! Many people make purchases on impulse without considering or knowing the consequences. One purchase over the weekend could cost you 100 points!